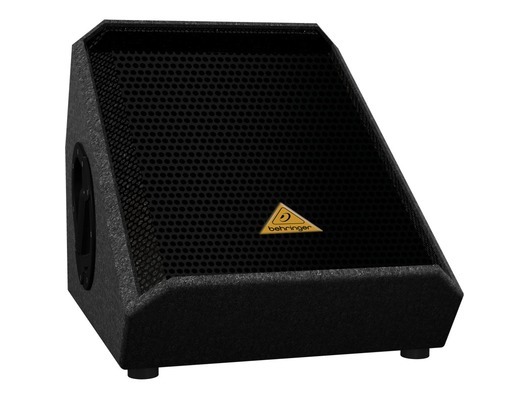 This great sounding Behringer VF1220F wedge floor passive PA speaker comes in great condition and a 1 year warranty is included. 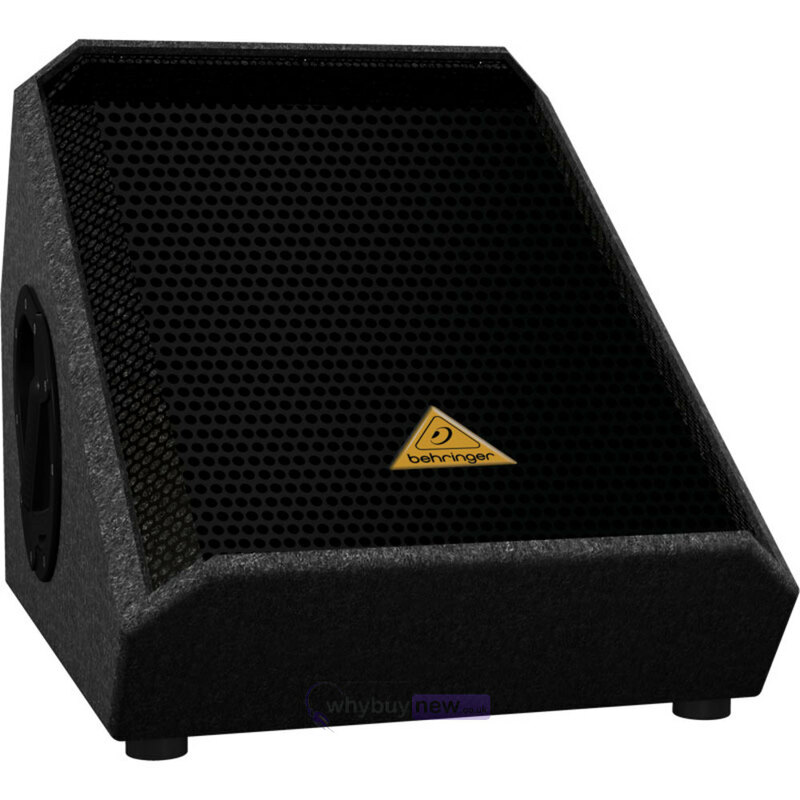 Designed for musicians by musicians, the Behringer EUROLIVE VP1220F Passive PA Stage Monitor merges portability, incredible sonic performance with amazing affordability. Capable of handling input levels up to 800 Watts, the EUROLIVE VP1220F floor monitor delivers truly impressive sound quality. The powerful 12" long-excursion driver cranks out big tone in the bottom end and mid-range, while the state-of-the-art 1.75" titanium-diaphragm compression driver delivers crisp and detailed highs. The VP1220F's wide frequency bandwidth and extensive dynamic range make it ideal for stage monitor applications. In order to produce tight, deep bass, a loudspeaker has to move lots of air. EUROLIVE loudspeakers accomplish this by using powerful, long-excursion LF (Low Frequency) drivers that are handmade in our own factory. While some companies are content to use "off-the-shelf" drivers, we custom-design each LF driver to perfectly match each application. The VP1220F features an extremely powerful 12" long-excursion LF driver in a tuned enclosure, providing rich, tight bass all the way down to 55 Hz. Good high-frequency (HF) performance is ultra-critical when it comes to stage monitors. Too much and the sound becomes brittle and obnoxious, too little and it sounds muddy and poorly defined. The state-of-the-art 1.75" titanium-diaphragm compression driver delivers natural-sounding high end, allowing you to hear your performance, even when the band is playing full out. The VP1220F is capable of extremely high sound pressure levels (93 dB full space 1 W @ 1 m) across an expansive 55 Hz to 22 kHz frequency range. And at just under 36 lbs (16.2 kg), the VP1220F is supremely portable. The internal crossover point is fixed at 2.5 kHz. Both 1/4" and professional-style twist-lock connectors are provided. Optimized for maximum reliability through the integrated overload-protection circuitry, the VP1220F monitor speaker ensures the ultimate high-frequency driver protection. Designed to stand up to the rigors of the road, the VP1220F is built to last and made to perform. Wedge shaped enclosure for perfectly aligned "sweet spot"